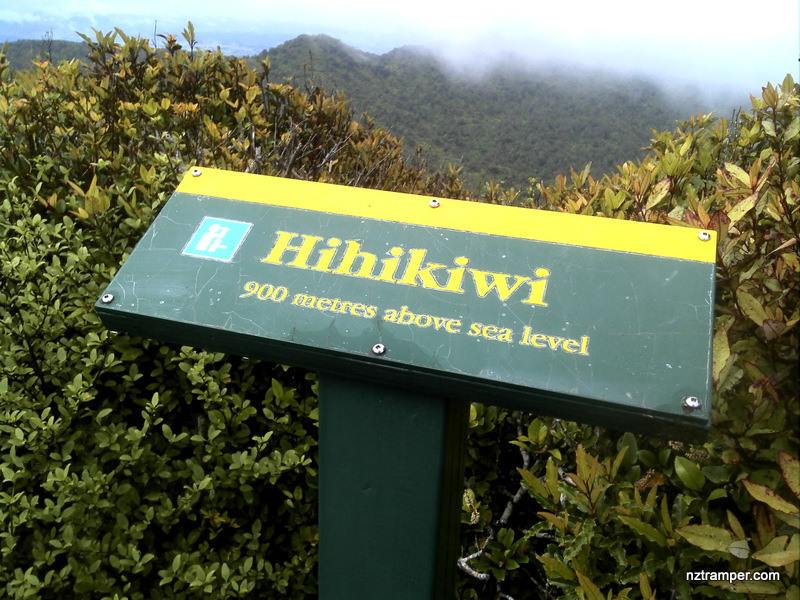 Trails: Pirongia West Road car park – Hihikiwi Track – Lookout Point – Hihikiwi Summit – Pahautea Hut – Bell Track – The Cone – Return back the same way to car park. 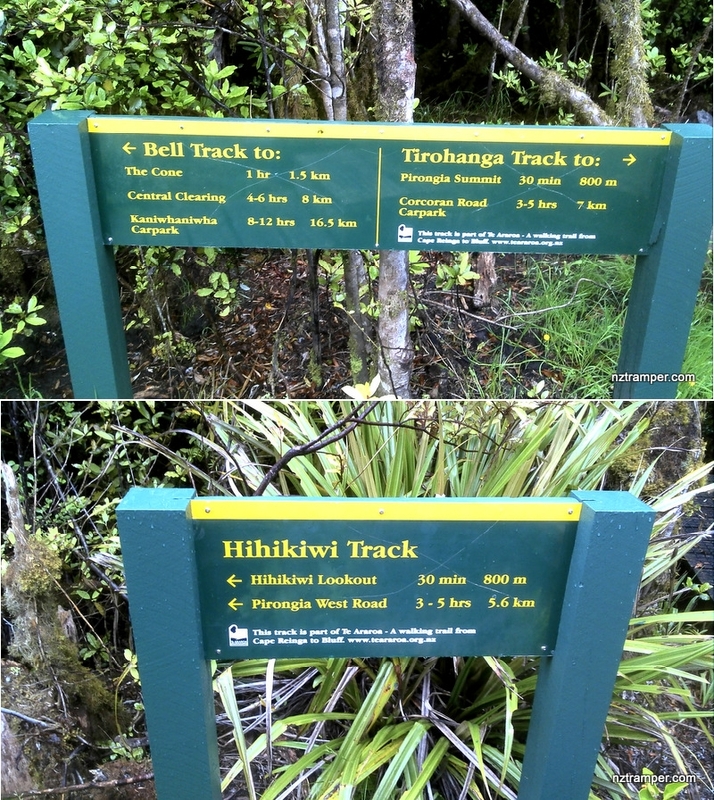 Note: This is a new tramping track which has not been put on some maps yet so far. 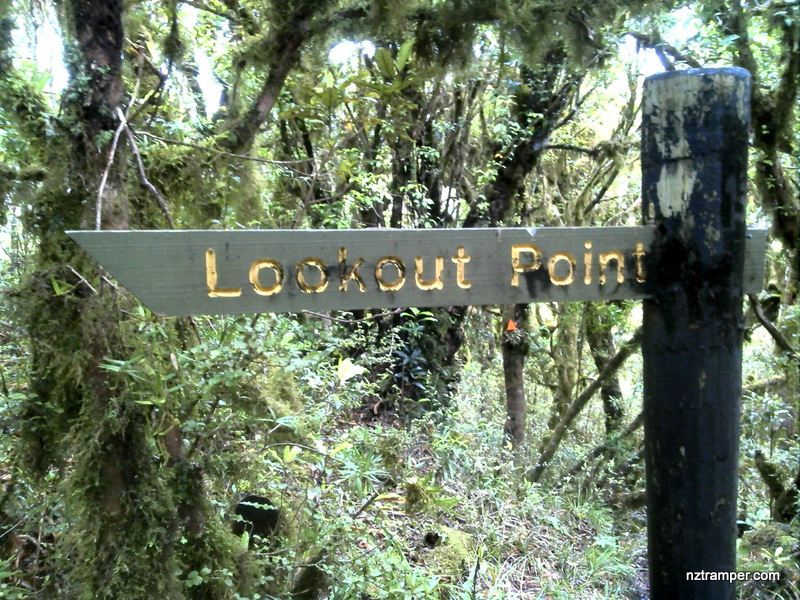 Experienced trampers only! 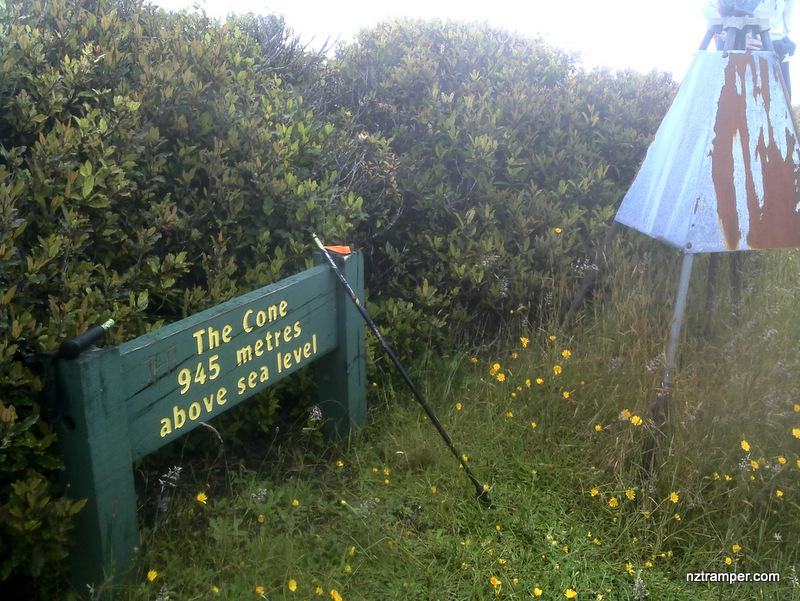 Not recommended in bad weather as the tracks are very boggy. Boardwalk is being built from the hut to The Cone which will significantly reduce the time. Currently 1.5 km takes 1 hr one way. 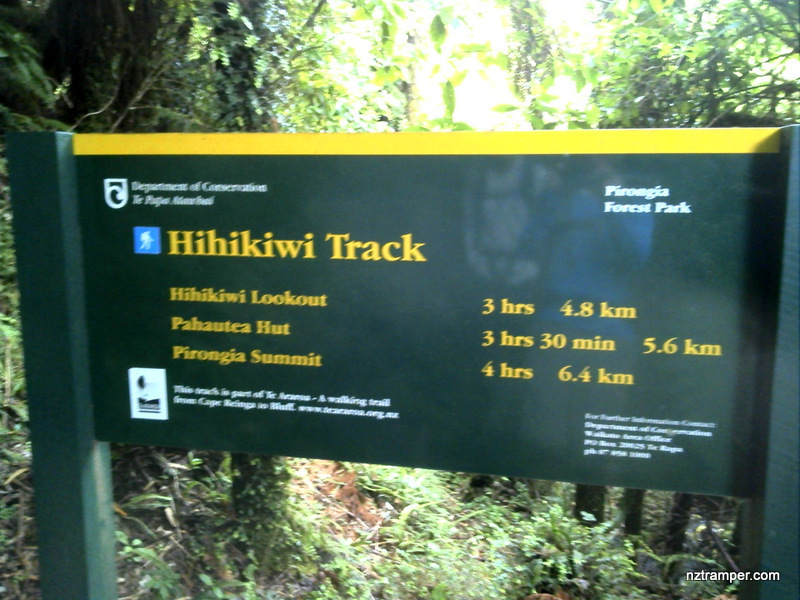 Car Park: Yes, Pirongia Forest Park. The “Total Time” is my time in Jan which includes morning tea, lunch time and breaks. That day was cloudy and drizzle. The tracks were very boggy! If you slow down to average 2.5 km/h plus 90 min stop then the total time will be around 7 hrs.